Rajan tried all manner of entrepreneurial enterprises. He sold scrap paper and cardboard to recyclers. He built a street corner chai and cigarette cart, and repaired truck and bus tires. He started an office cleaning service for high-tech companies in the growing IT sector south of the city center. None of these delivered the financial returns and workday flexibility of selling clear, sky blue, 20-litre water “cans” in Chennai’s immense bottled water industry. The 32-year-old business owner, stocky and muscled, fits the enterprise. Every day, Rajan explained through an interpreter, he and a partner purchase some 200, 20-litre water cans from one of the metropolitan region’s independent water bottlers. He buys the cans for 20 rupees each, about 30 cents, and sells them for 35 to 45 rupees each (52-68 cents). He can load 50 to 60 cans at a time on his diesel delivery truck, which is smaller than a compact American pickup. Operating the business for five years, Rajan has attracted steady customers – homeowners, hotel and office managers, and shopkeepers – and developed about 15 routes in the city. The profit for each can averages 20 rupees in a competitive market. That amounts to a daily profit of roughly 4,000 to 4,500 rupees ($60-68). Splitting the revenue two ways and setting aside money to cover vehicle maintenance and fuel expenses, Rajan nets 12,000 rupees a week ($180). Though modest by Western standards, 12,000 rupees is a robust income for a mid-level business manager in Tamil Nadu’s capital city. Over the last decade, even as water scarcity grips much of the world, it’s become commonplace in the developed world to criticize bottled water as an unnecessary extravagance and a solid waste blight. The United Nations, which asserts that access to clean water is a basic human right, has also critiqued the role water bottling companies play in privatizing a public resource in short supply. In Chennai and other major cities in Tamil Nadu, bottling and privatization are issues of public concern. But they principally orbit the production of American-branded soft drinks, especially Coca-Cola and Pepsi, a conflict to be further explored in a later “Choke Point: Tamil Nadu” report. When it comes to drinking water, the public conversation is still urgent and substantive, but different. This fast-growing Bay of Bengal coastal city is now prone to serious and frequent drinking water disruptions from drought, floods, and electricity blackouts. The morality and ethics of water bottling are overwhelmed by the more immediate torments of short supplies, high prices, and the effects of indiscriminate pumping on the region’s vulnerable groundwater reserves. Chennai is a graphic example of how a big developing city copes when escalating demographic trends intersect ruinous, climate-related ecological conditions. Residents of Chennai, in other words, do not take water for granted. Ever. With 8.5 million residents within its boundaries, and nearly 2 million more in the metropolitan region, Chennai is India’s fourth largest city and one of its fastest growing. Since 2000, the Chennai metro area has added an average of 265,000 residents a year, according to national census figures. The central government, state, and the Chennai Metro Water Supply and Sewerage Board, the city’s water utility, have spent tens of billions of rupees to expand reservoir capacity; build canals to transport water from neighboring states; construct new water treatment plants; develop well fields in rural areas to fill tanker trucks; and build two drinking water desalination plants, pay for a third, and plan for a fourth. The accumulated result is that in wet years Chennai’s water utility is capable of supplying about 1.3 million cubic meters of water a day (343 million gallons) to residents and businesses, almost double what it provided in 2005. Still, it is not nearly enough, even in a region with low rates of per capita water consumption. In many parts of Chennai, municipal water is shipped by trucks and supplied to households from plastic tanks. In other sections of the city, water flows from home taps just a few hours a day. By way of comparison, New York City’s water utility supplies 4.3 million cubic meters of water a day (1.2 billion gallons) to 8 million customers in the five boroughs and 1 million more in four upstate counties. Producing similarly large increases in water supplies for Chennai over the next decade will be even harder. The reason is that Chennai’s hydrological patterns are unstable and dangerous. In just the last 15 months the city has been drowned in a flood, battered by a cyclone, and dried up by the worst drought in 140 years. Every meteorological assault – and they’ve become more numerous over the past 15 years – is accompanied by severe disruptions in municipal drinking water deliveries. Storms and floods knock out electrical power for pumps and inundate reservoirs and treatment plants with raw sewage. 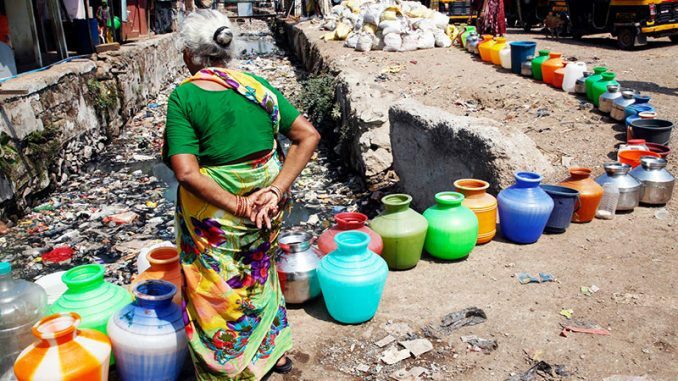 In drought years, Chennai’s water supplies sink to alarmingly low levels. In an interview, the Tamil state government’s principal secretary for water K. Phanindra said more than a year of deep drought in 2016 and the first months of 2017 had dropped Chennai’s daily water deliveries to under 500,000 cubic meters per day. Reservoirs currently contain less than 20 percent of their capacity. Groundwater levels are receding, in some places by nearly 20 feet a year. “If we can get rain, we’ll be okay,” said Phanindra. “Right now it’s a very difficult situation.” In 2016, public demonstrations over water allocations from the overdrawn Cauvery River turned violent in Chennai and upstream Bangalore as farmers turned desperate and cross-state tensions came to a head. The city’s seemingly endemic drinking water shortages have opened a breach that the water bottlers have rushed to fill. Chennai’s bottlers are also responding to a second public anxiety – about the quality of municipal water. City residents prefer bottled water because they don’t trust that piped water is safe. With supply and safety driving the market, Chennai’s water bottling industry is said by authorities in India to be among the world’s largest, though it is not exactly clear just how big it is. The Tamil Nadu Packaged Drinking Water Association, the industry’s principal trade group, counts 1,200 members, perhaps a third of which operate in Chennai. According to estimates by distributors and bottlers interviewed for this report, 10,000 people may be employed by 400 to 600 bottling companies that market over 100 water brands in Chennai and the metropolitan region. As many as 15,000 people deliver 20 million litres of canned water daily. Thousands more drive tanker trucks that supply bottlers. Other facets of the industry are the suppliers and recyclers of water cans. Taken as a whole, Chennai’s water bottling sector could have revenues in excess of $180 million annually. The money may be good, but producing and selling bottled water in Chennai is a challenge. Though bottlers are required to adhere to government rules for purity and filtration, periodic inspections have hurt the industry because they reveal episodic instances of heavy metal and chemical contamination. In 2013, the National Green Tribunal, India’s high court for hearing environmental cases, identified more than 800 bottlers in Tamil Nadu that were operating without required state permits. Another realm of periodic conflict is in rural areas outside Chennai where the thousands of wells that are the primary source of water for bottlers are located. Pumping groundwater, especially during droughts, has prompted profound changes in the rural economy. In some instances, over-pumping has stirred farmers to riot, as groundwater levels for irrigation decline. In many other instances, farmers curtail agricultural operations in favor of selling well water to tanker truck drivers who transport their 12,000-litre loads to bottlers. In 2014, the shift in the farming economy, groundwater depletion, and social tumult prompted Tamil Nadu to approve a statute requiring landowners to register their wells as a means of overseeing groundwater withdrawals. The law hasn’t worked well. Farmers said in interviews that the statute is often ignored. Groundwater levels are dropping quickly, and wells are being drilled steadily deeper across much of the metropolitan region. Weak enforcement has contributed to Chennai’s serious groundwater depletion and contamination problems. Tamil Nadu divides its groundwater reserves into 382 blocks. Water withdrawals currently exceed the recharge levels in more than half of those blocks and are deemed by the state to be critically overexploited. The State Ground and Surface Water Resources Data Center has consistently found that the Chennai metropolitan region has some of India’s most severe rates of groundwater depletion. Moreover, water wells in the region have been found to be contaminated with unsafe levels of heavy metals, nitrates, and other toxic substances, according to reports by the Central Groundwater Board. All of these details of risk and safety are well-recognized by water bottlers and customers. As the water seller T. Rajan noted in an interview, one of the industry’s central principles is marketing trust. “People buy our water because they know it is good water,” he said. That principle is in full view in Mamandun, a farming village, where the company Aqua Park pumps clean water from two wells for use in an immaculate bottling plant south of Chennai. The business employs 15 on-site staff, including a microbiologist and a chemist to ensure the plant and its products pass inspections by city and state food safety agencies. Devi Vasudevan, the young woman who manages the plant, said the bottling operations started in 1998 and have grown to fit the needs of a suburban market south of the city. Aqua Park’s 20 drivers transport 2,000, 20-litre cans of water daily to businesses and homeowners, she said. Annual revenue exceeds 20 million rupees ($300,000). Not far away, in another segment of the bottling industry, 33-year-old Mahendran explains that a sizable share of his family’s income comes from selling well water from an informal depot they established on their farm. As many as 20 water trucks fill their 12,000-litre tanks each day outside the city, he said. More routinely it’s 10 or fewer. Keith Schneider is senior editor and chief correspondent at Circle of Blue [http://www.circleofblue.org/waternews/]. A two-time winner of the George Polk Award and other honours for his work, he also reports on energy, agriculture, the environment, and policy for The New York Times, where he has served as a national correspondent and contributor since 1981. Its inclusion in PDS supplies had made the nutritious and protein-rich Urad Dhal easily accessible to the urban poor. 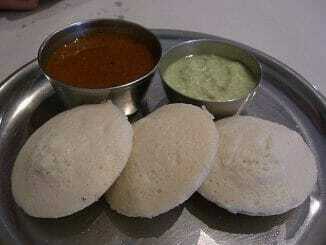 Its withdrawal over the last year has meant a forced change of food habits among many. Is the National Food Security Act to blame? Need an address change on your licence? Be prepared! 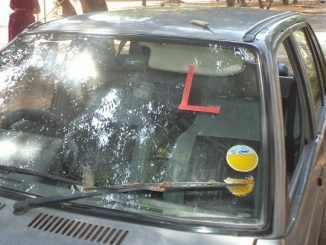 A Chennai citizen’s first person account of her experience at the RTO as she queues up to change her residential address on her driving licence. 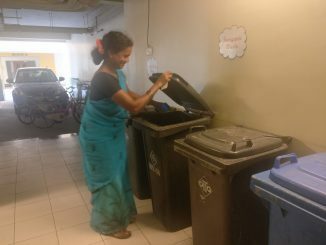 An apartment complex in the city has embraced a novel, DIY method of waste management that has helped them reduce the amount of waste generated and sent to landfills. Here are some key learnings from the experience of Ceebros Boulevard.